Presented in excellent condition throughout and boasting a south west facing sunny back garden, Sherry Fitzgerald O’Meara bring 102 Sliabh Rua in Moate to the market. Offering good accommodation in a popular residential area of Moate on the Ballymore Road, the home is just a short walk from the town centre with all its shops and services. The interior of the home offers three bedrooms, one reception room, three bathrooms and attractive decor. The exterior of the home enjoys gardens and ample room for private parking. The home is approximately 98.5 square metres with a BER C1 rating. This property would make an excellent starter home. It must be viewed to be fully appreciated. 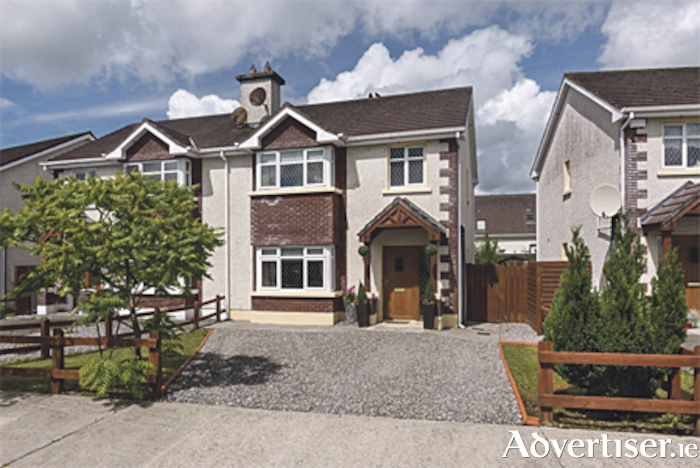 For more information or to arrange a viewing, call agent Helena Kenny of Sherry Fitzgerald O’Meara on (086 ) 8119190.